August 2017 - An Opportunity to Celebrate Life! Finding My Joy Through Horse Play! Horses really are a joy to work with and amazing teachers! I know I say that a lot. I also share stories, pictures and videos of the fun we are having here in Montana with the horses. However, I am not sure I have done the best job sharing with you just why I think this work is so rich, valuable and worthy of your time, money and energy. There are lots of ways you can learn, grow and transform. Create an crisis and have to change – be it health, money or relationship related. Of these paths I have taken, all bought about significant, deep, valuable transformational growth in my life. Some of them I have done or would do over and over again. Other paths (like the crisis route), I’d prefer to say one and done. (Although I think I have done that 4 or more times – at least). Even the ones I do over – like Couples Alive, Come Alive or Passionate Ease – are in some ways a conscious effort and some hard work on my part to stay and and really show up. I don’t regret the effort or the work and the reward is worth it – but it’s hard! Here’s the thing for me about a workshop or an intensive experience around horses – it’s not hard! Even when I was terrified of being around them – which was the case when I started in my training. I definitely drop my armor faster, open my heart and feel joy more than pain in every experience I have. Even when the lessons were HARD ones. The joy that can come from another living, breathing being holding a space for you – wanting you to be present and being okay with whatever you show up with as long as you are congruent! These are just some of the lessons I see that are a regular part of Equus coaching sessions. All this feedback and interaction occurs and it’s offered in an amazingly warm and nonjudgmental way. Horses are not story makers. They come into the moment with each session waiting to see who and what shows up and working to create a relationship that ensures they stay safe and have some fun. 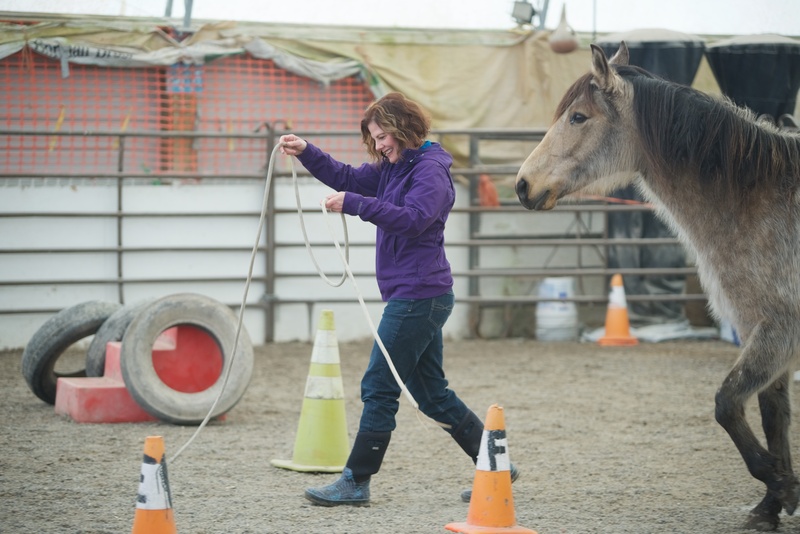 Horses enjoy the sessions and like moving and participating. Some maybe more so than others and when that isn’t their thing they are usually quite clear in letting you know. I know I will keep going to programs like Passionate Ease and Haven’s offerings – indeed I’ll enjoy my time in the circle and connecting people. However, I do want to spend more time with the horses. I encourage you to try it as well. 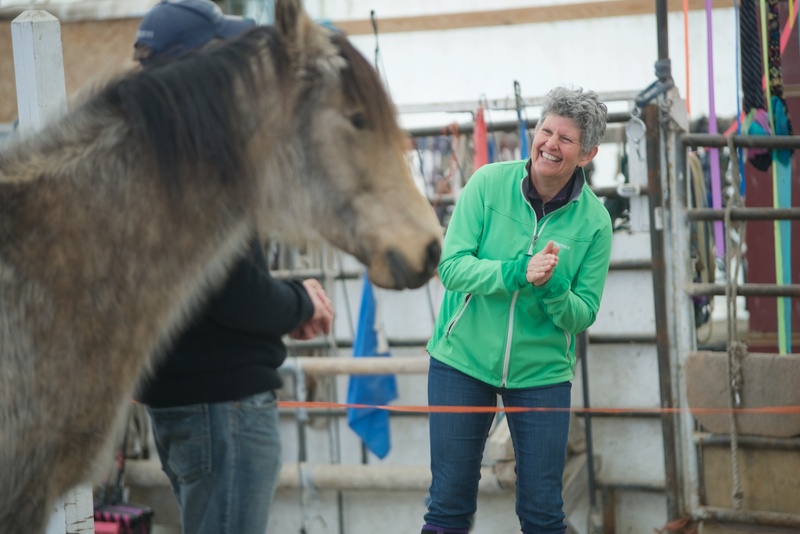 Besides discovering the joy in playing with the horses, if you come to Montana you will get an amazing experience – beautiful place, great people and CrisMarie and I bring all the other aspects of what we’ve learned to help you get the most of your lessons from the horses. Want to experience more joy in your own transformational journey! Come play with the horses!